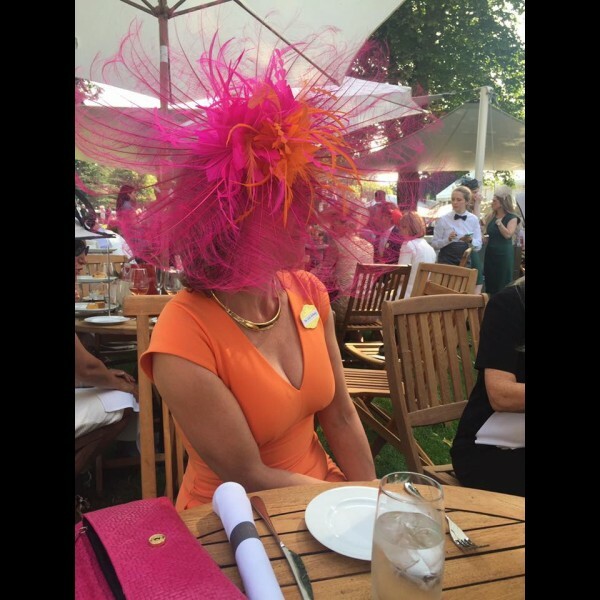 Gorgeous & Glorious Hot Pink & OrangeOstrich Headpiece. 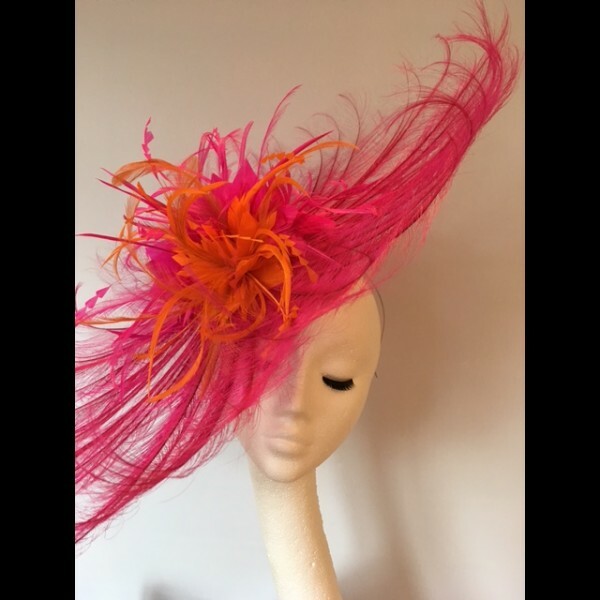 A popular style for Royal Ascot, flambuoyant burnt ostrich feathers in hot pink on a small sinamay base. 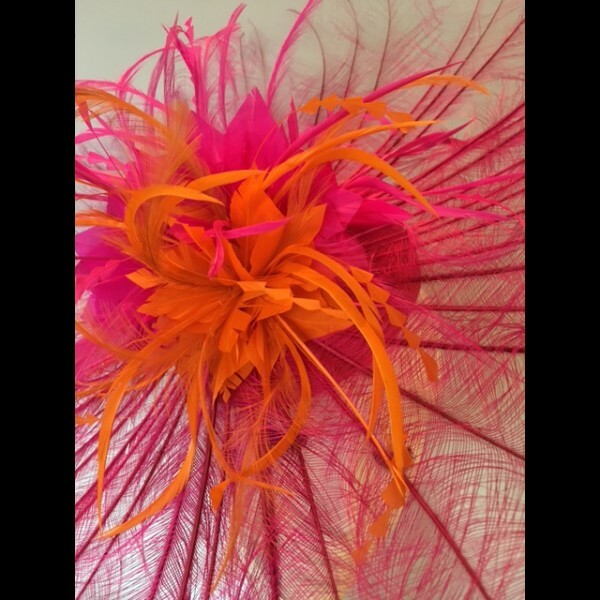 Vibrant hot pink & orange feather flowers in the centre of the headpiece. Mounted on a discreet silver hairband with a small comb for security. 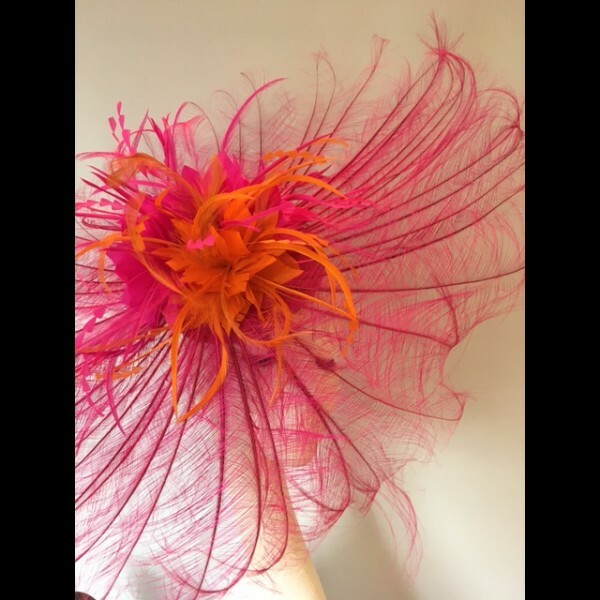 Also available to hire in RED, NAVY, BLACK, PURPLE, ROYAL, CORAL and IVORY/GOLD.